I followed the ROYGBIV rainbow color scheme and you probably have noticed that I wasn't able to paint all the colors in each nail. In fact, as I look at my nails right now, there is no single nail that have all 7 colors of the rainbow! But that's okay. I still like it the way it is. If your nails are longer than mine, you'd probably be able to paint all 7 shades. Base color is a pure white nail polish from Dazzle Dry named White Lightning. 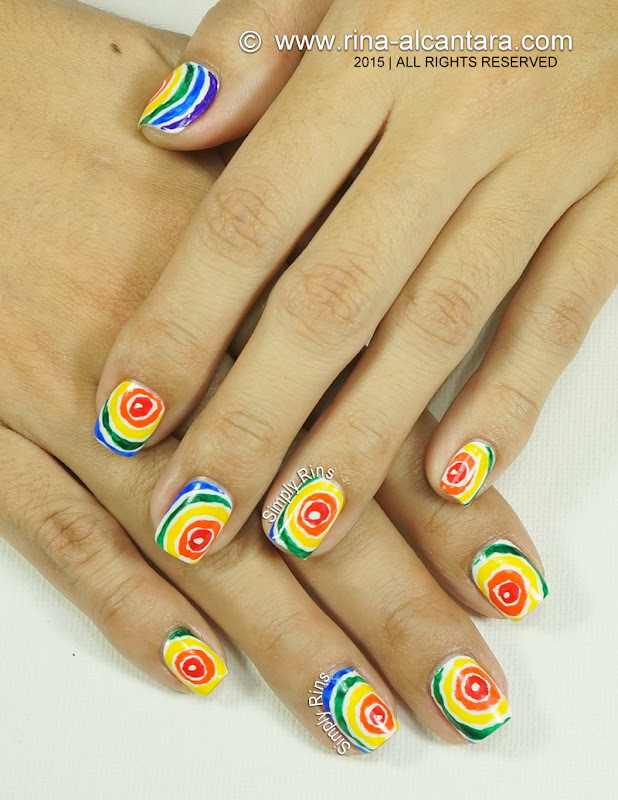 You can use a dotting tool to paint the rainbow. For this particular design, I decided to use a detail nail art brush. I needed to re-familiarize myself with the brushes. It has been awhile. I started with a red color and painted a small circle in random places across all nails. 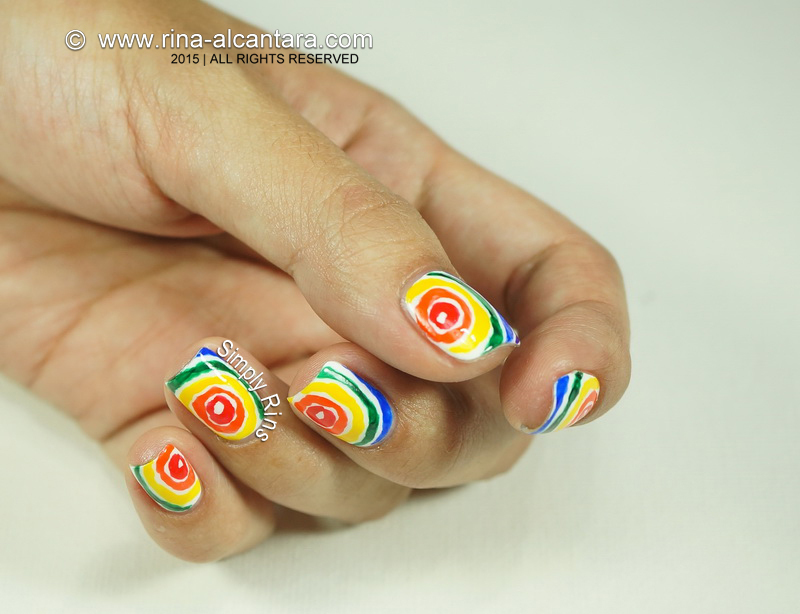 It is up to you of course if you would like the pattern to appear the same on all nails. This craft after all, depends on personal preference. Then I continue painting with the succeeding colors using the red circle as my guide. An important tip is to make sure your paint is opaque and is visible enough over a white background. For example, pick a good tone of yellow that will pop up even on a very light base. Here, I chose golden yellow to make the color obvious. Working with opaque paints will also make painting more manageable. You won't need to add layer over layer. 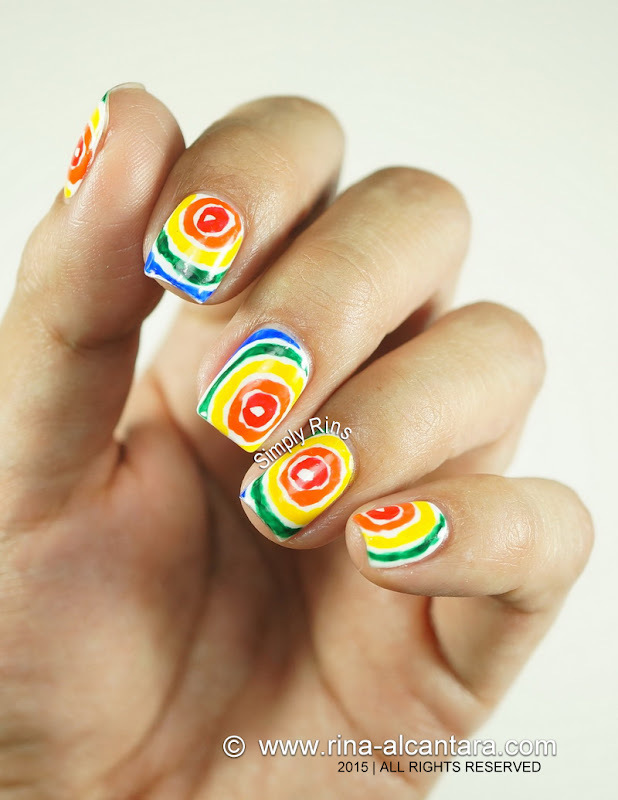 I know you will agree with me that it is very hard to draw perfect circles, on nails more particularly. I used to be a little too perfectionist before when I was still starting as a nail artist. But eventually, I learned to appreciate my limitations and found beauty with what I can do. And honestly, the irregularities in nail art painting sometimes make the design more interesting. And a nail design that requires minimum accuracy is very much welcomed when the non-dominant hand is working. I know that I have been away for awhile. I may not be posting as much, but do know that I am not about to leave blogging just yet. ;) I'm just really really having a hard time with schedules right now. 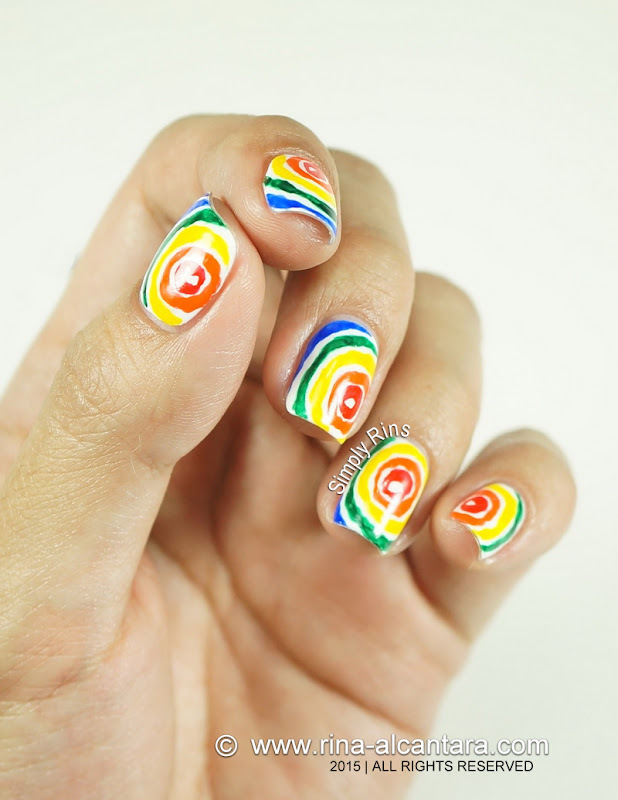 I hope this simple rainbow nail art will inspire you as it did me. Beautiful. 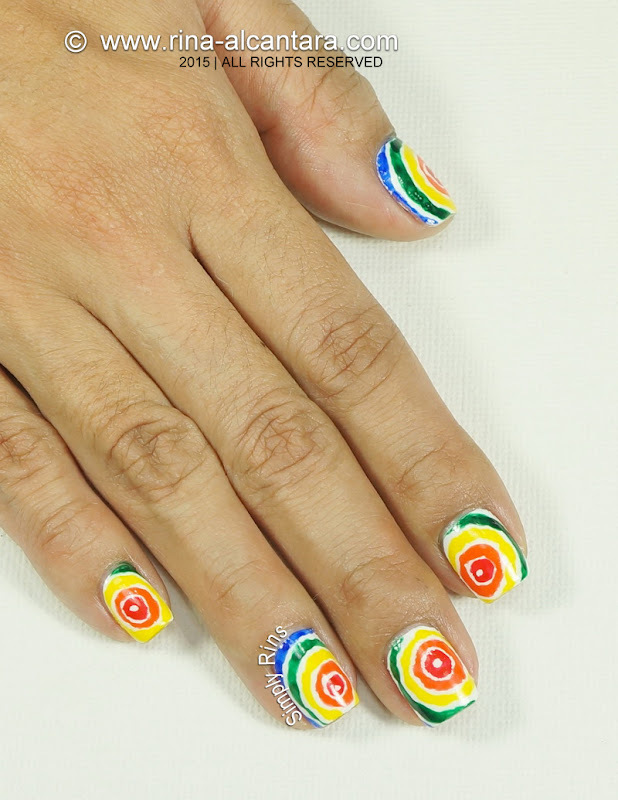 I'm trying this easy and fun rainbow nail art tutorial! It's is so easy, even beginners will master it in no time!